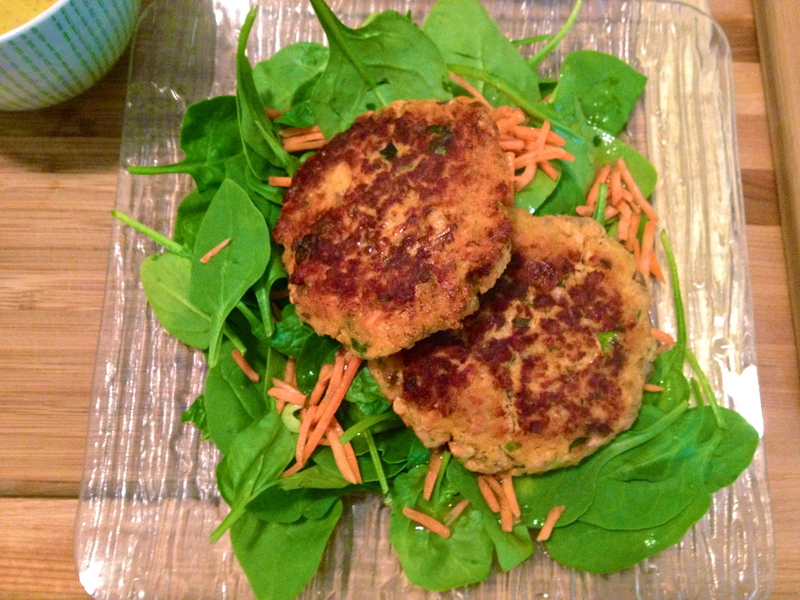 Salmon Cakes and Baby Spinach Salad with Orange Vinaigrette. Get the pan going over medium heat (not medium high). We’ll add the oil in a little bit; for now, just heat the pan. 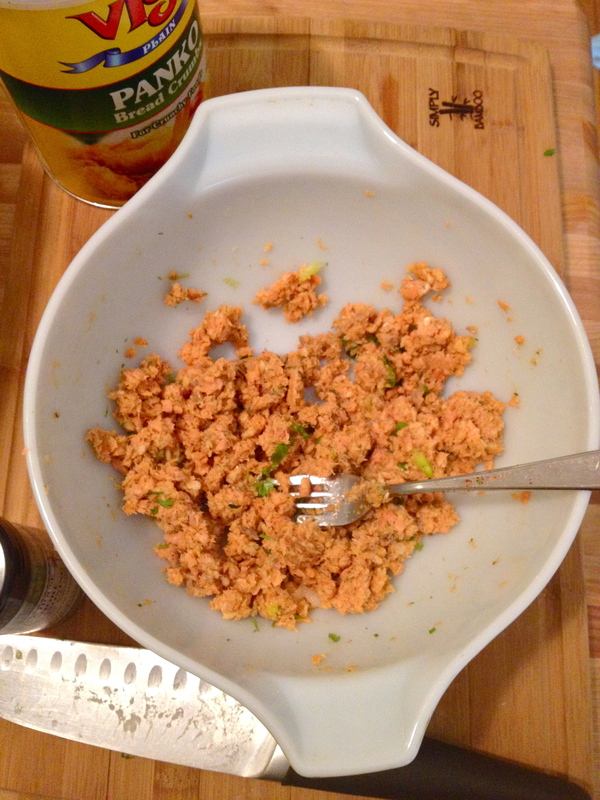 Crack the egg into a mixing bowl and add the salmon. Use a fork to mash up the salmon a little bit and combine it with the egg. Add green onion, bread crumbs, seasoning, hot sauce, parsley, cayenne pepper, and salt and pepper, and stir together to combine everything evenly. At this point, add the oil to the pan – just enough to cover the bottom. Let it get hot while you form the salmon into cakes. 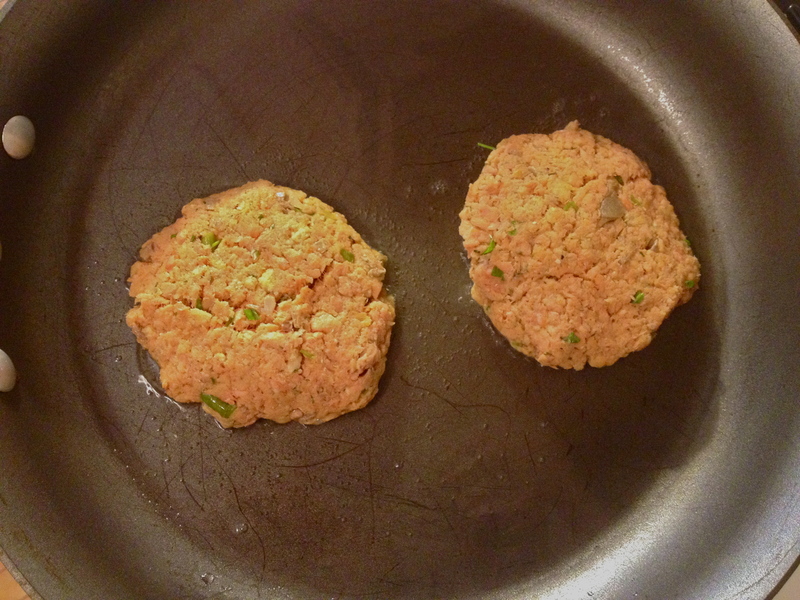 Divide the mixture into two even portions, and use your hands to shape each portion into a patty about 3/4 inch thick. Add them to the pan and cook until browned and a little bit crispy on each side. Mmm. While the cakes cook, prep the salad. 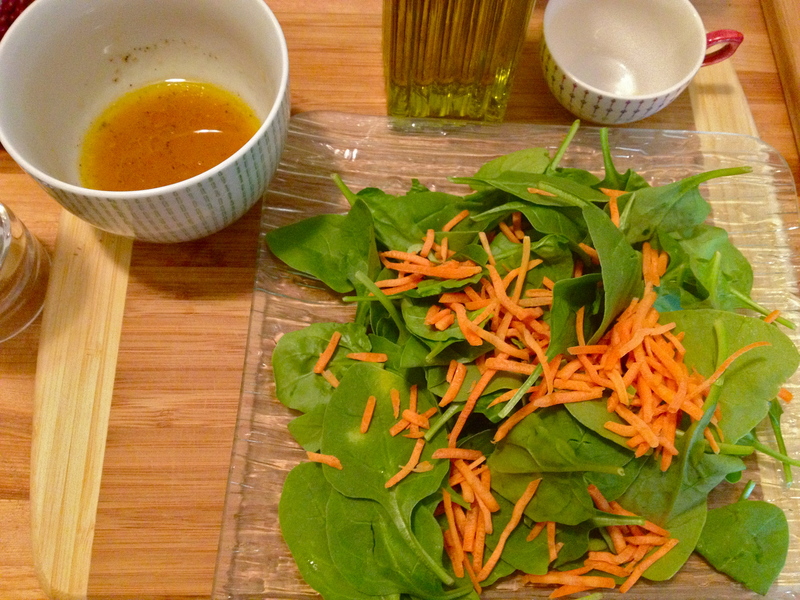 I tossed the baby spinach onto a pretty plate and topped it with shredded carrots. 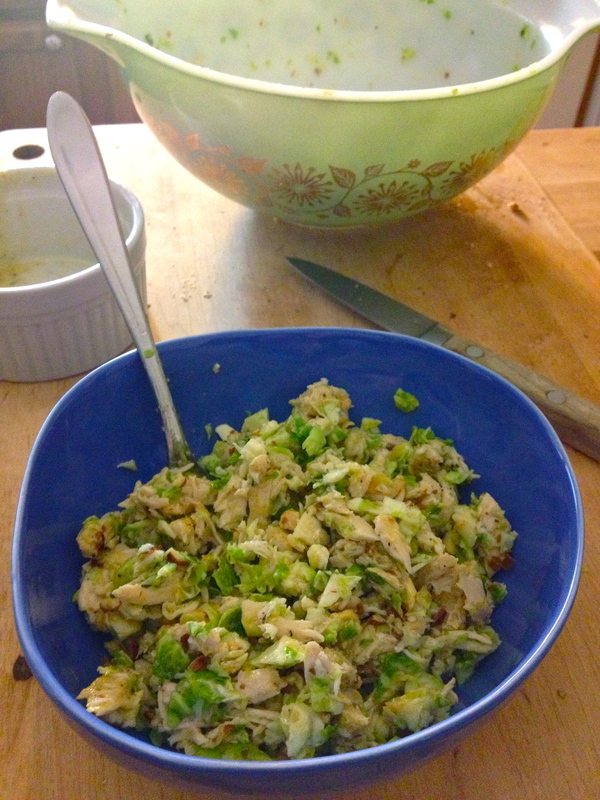 Then make the dressing, which is incredibly easy. Just stir together all the ingredients with a fork. 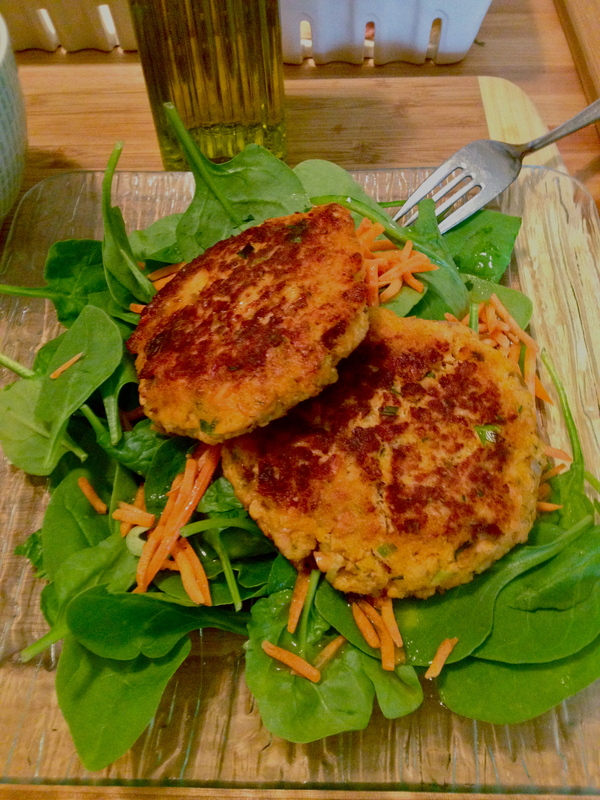 Then it’s just a matter of dressing the salad and plating the salmon cakes. 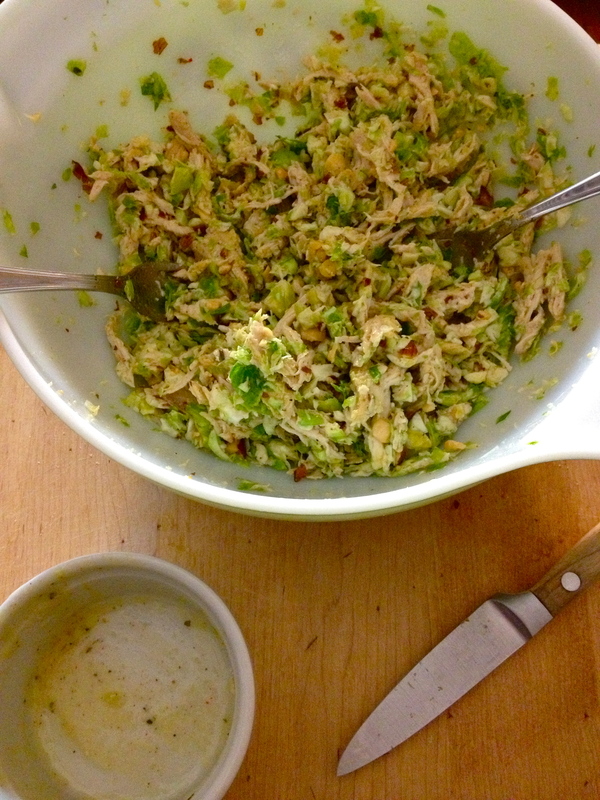 Perch them right on top of the greens, and if you have any dressing leftover, drizzle a bit on the cakes. The orange is delicious here. I could hardly believe this was the boring salmon I had made the night before. Enjoy! I love lettuce wraps – I think I even prefer when things are wrapped in lettuce to any tortilla or bun (excluding hot dogs, of course). The cool crunch and the light freshness of the lettuce just seems to pair well with a lot of the foods that we think of as bun-worthy. 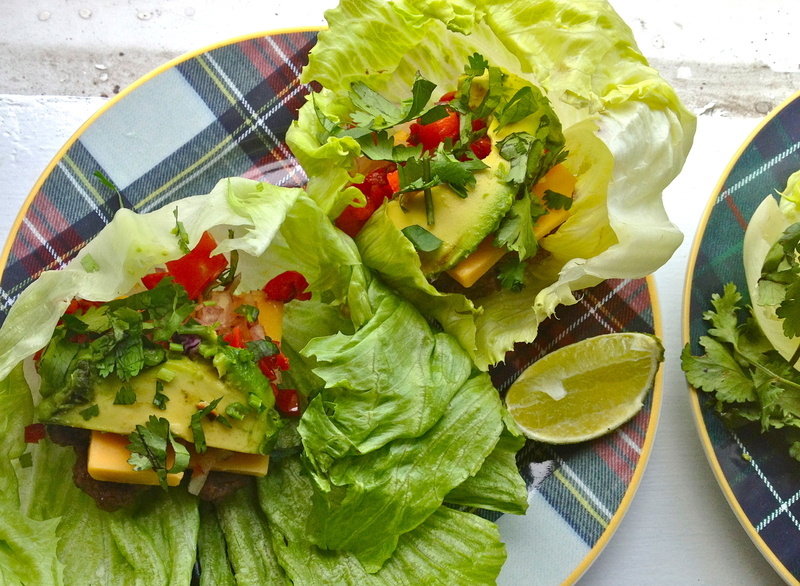 This recipe for what I’m calling “green taco burger wraps” combines the best of cheeseburgers and tacos and wraps the whole thing in nice crunchy lettuce. The burger meat is spiced with cumin and oregano to give it a bit of Mexican flavor, and the toppings are all my taco favorites (especially avocado….mmmm). They’re easy and healthy and so delicious! First, season the burger meat. In a large bowl, add meat, egg, cumin, garlic powder, paprika, ground coriander, cayenne pepper, salt and pepper, and red onion to taste. 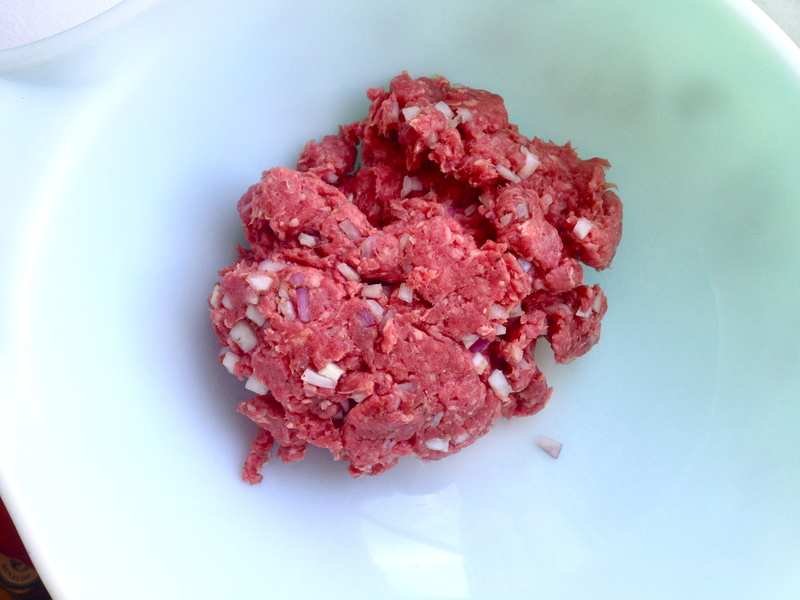 I set the rest of the red onion aside in a little ramekin to top the burgers with later. Use your hands to mix all the ingredients together. That’s the only cooking prep you’ll do in this recipe. At this point, I set the meat aside to let the flavors hang out a bit while I chopped up everything else and put all the amazing toppings into their own little bowls. When everything else is ready to go, cook the burgers. First, use your hands to form them into small patties (we made two little patties per person). I cooked them on my beautiful new Le Creuset grill pan from Williams-Sonoma, but a regular grill or a pan can do the trick as well. 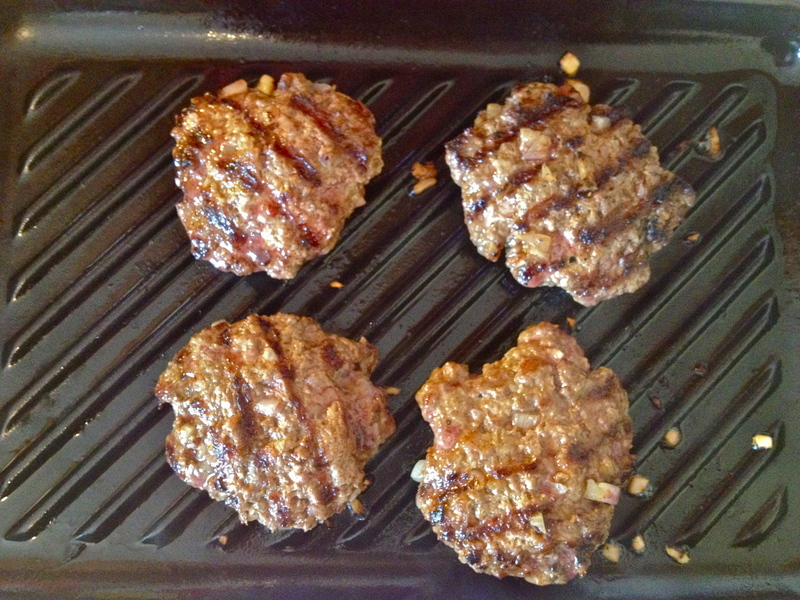 Put your pan over medium high heat and lightly grease before adding the burgers. Cook until browned on each side and medium-rare in the middle (or however you like your burgers cooked!). Set aside for 5 minutes to let the meat rest. The next step is just assembly! I started with the lettuce wrapper, then laid the burger on top and placed the cheese on top of that, so it would get a little melty. 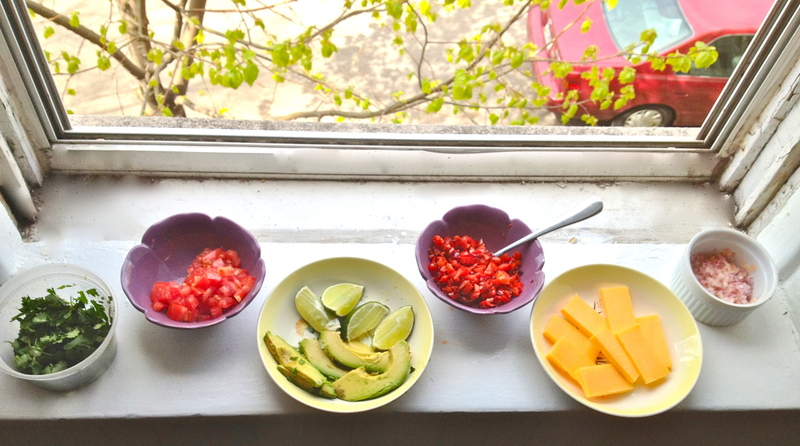 Then it’s only a matter of topping to your heart’s content – cilantro, red pepper, red onion, green onion, avocado, and a finishing squeeze of lime make these a perfect fresh and healthy lunch. 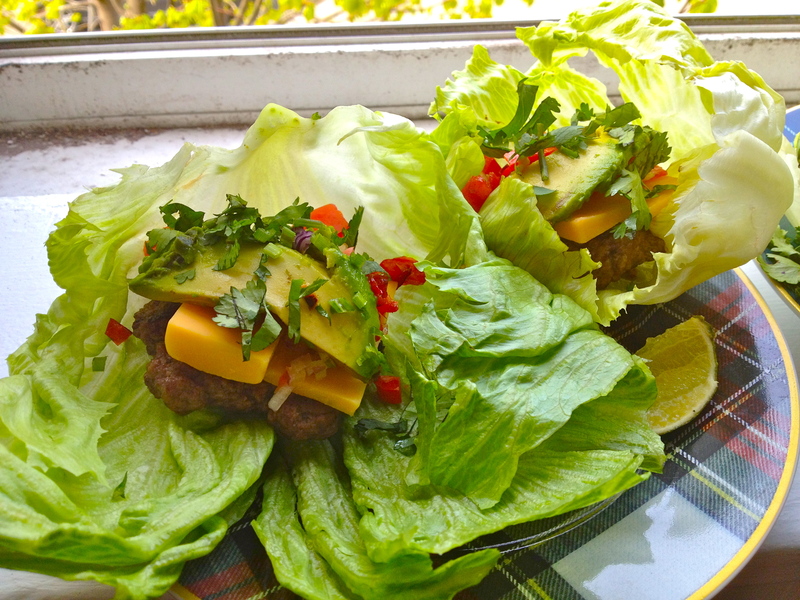 Before you take a bite, just wrap the lettuce around your taco-topped burger. Then dig right in! Vegans, vegetarians, and carnivores alike: I swear to you, this is really yummy. I like to eat vegan whenever I can, and for me, it often comes down to convenience. 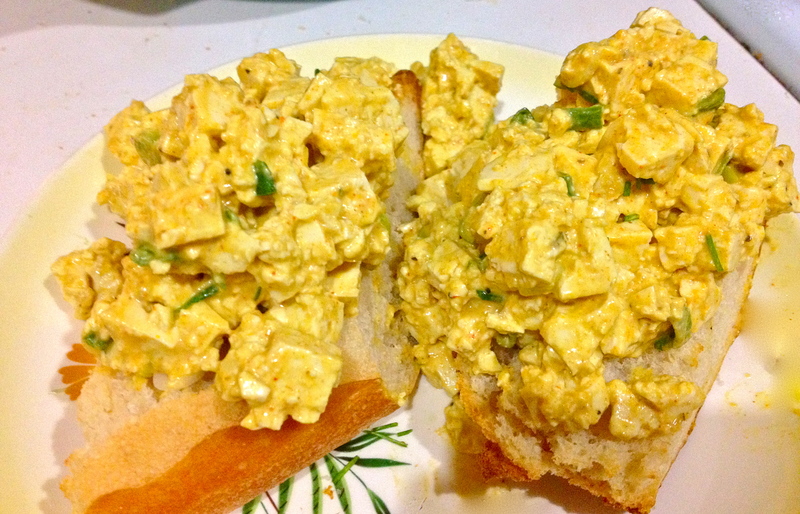 What I love about this tofu “egg” salad recipe, inspired by Healthy Happy Life, is that it’s just as easy–if not easier–than making egg salad with actual eggs. 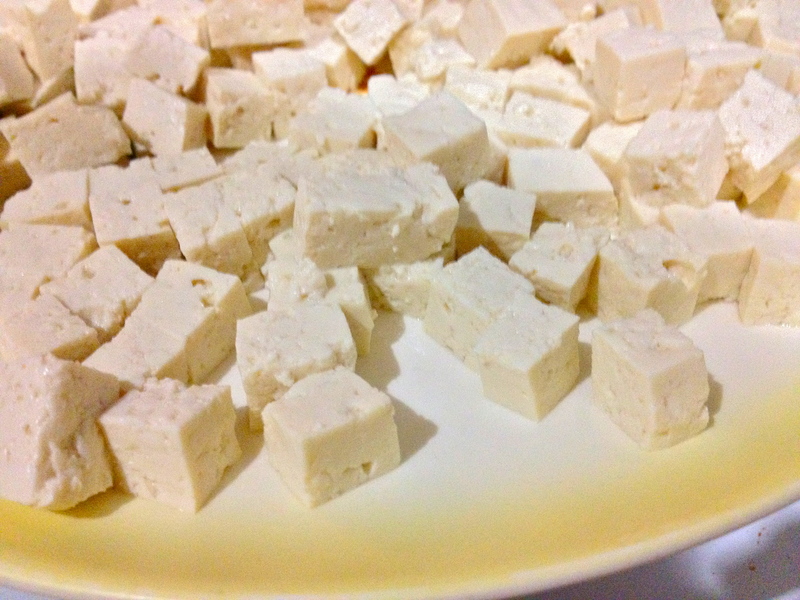 Observe: I steamed the tofu for a couple minutes, put it in the fridge to cool while I went for a quick run, and by the time I came back it was a matter of about 5 minutes before I was chowing down on a fast and easy–not to mention healthy—weeknight dinner. This definitely falls into the “I’d never haven guessed it was vegan!” vegan recipe category, so no matter who you are, there’s no excuse not to give it a try! 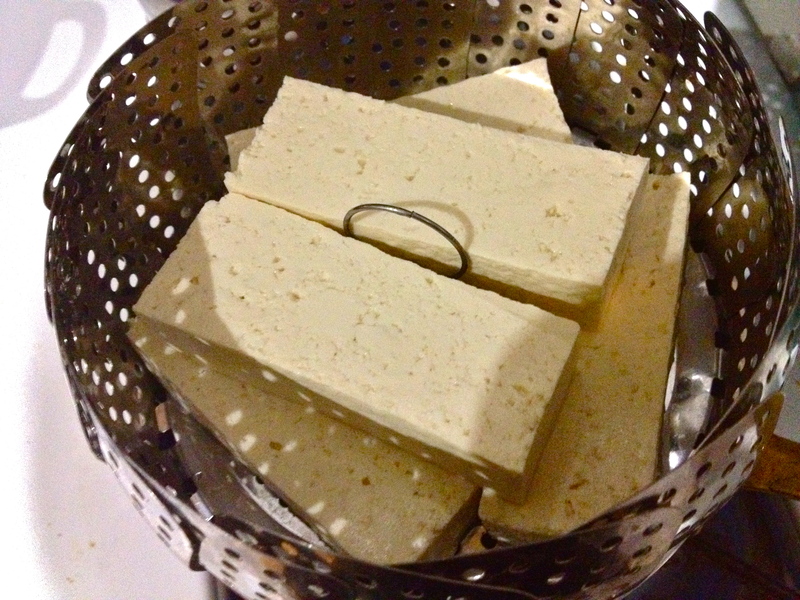 The first step is optional, but I think it makes a difference in texture and is totally worth the extra time: Steam the tofu for 5-7 minutes, then place in the refrigerator and chill completely. 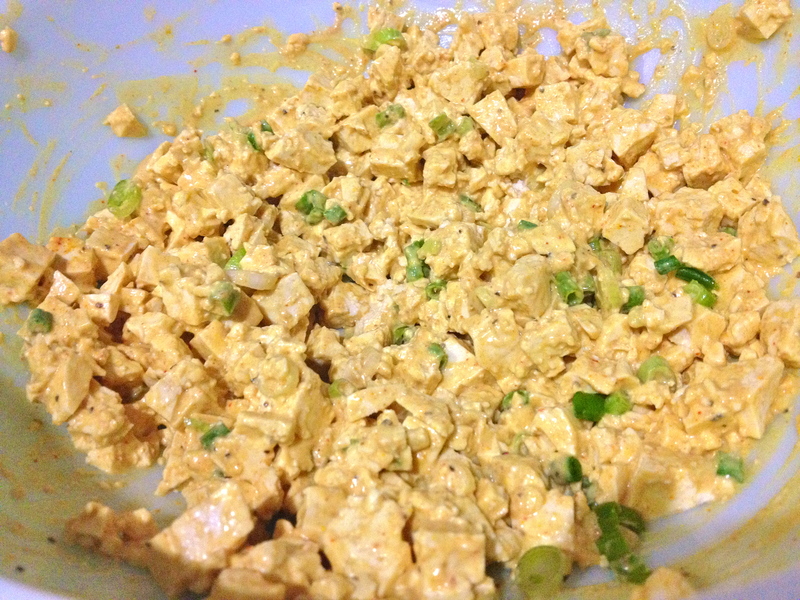 Now, whether you’ve steamed the tofu or not, pat it dry and cut it up until you reach your preferred egg salad-esque texture. In a mixing bowl, combine all ingredients except the chives. Stir to combine. Serve as a wrap or sandwich on toasted bread, or with crackers. 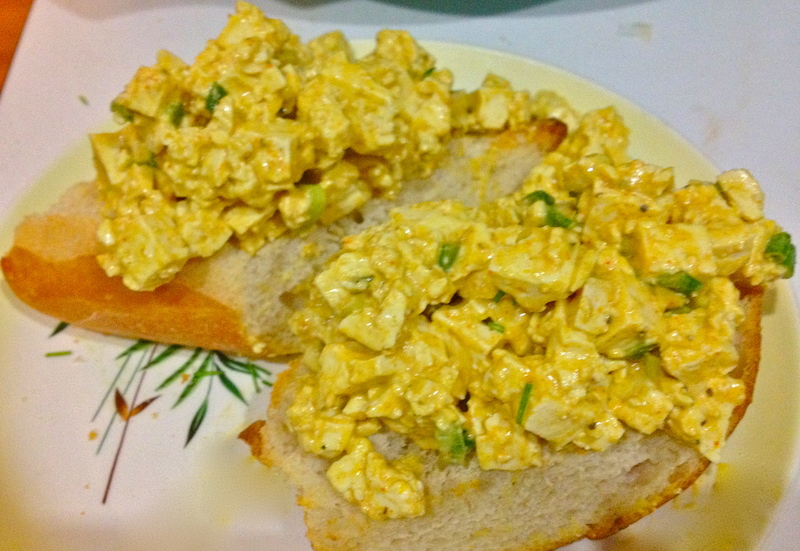 Garnish with chives and enjoy your egg-less impostor egg salad! Balsamic Watermelon with Goat Cheese and Basil. Last night, my cousins and aunts and I met for a Girls Night Out at my cousin Colleen’s fabulous apartment. We all brought drinks and apps to share while we danced and chatted, and it was such a nice night! Earlier in the day, we were emailing to decide who was to bring what, and I noticed that there were a lot of carb and cheese bites. When my girlfriends and I lived in Ireland, we ran into the same situation (and we had gluten-allergic gal and a cheese hater!). It’s a real challenge to come up with good apps that aren’t heavy on the bread and cheese. I had a great recipe for mango chutney mini grilled cheeses in mind, but I decided to go with something lighter and fruitier this time. These watermelon bites are fast, adorable, and totally refreshing! I scooped the melon beforehand and then assembled them at my cousin’s place, because they’re not particularly portable. Thanks for a fun night, girls! There’s really just one step: assembly. Using a small spoon, scoop a bit of goat cheese onto a piece of basil and stick it to the top of a watermelon bite. Pierce it through the center with a toothpick and dip the bottom of the watermelon into the balsamic vinegar. Then arrange them on a platter and you’re all set. Yum.